Rahul Mehrotra's architecture spans eras and cultural divides. 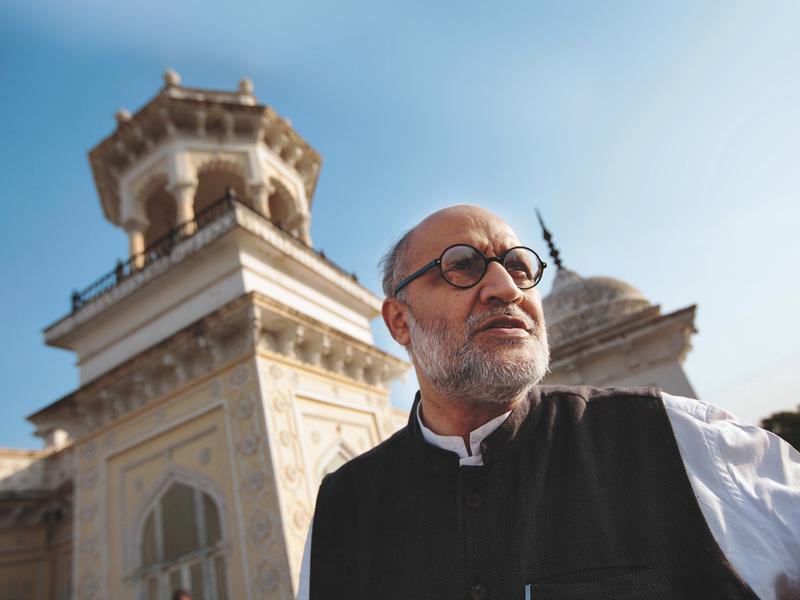 Rahul Mehrotra at the Chowmahalla Palace in Hyderabad. The earliest structures of the palace complex were built in a Palladian Neoclassical style; as the rulers gained in confidence, they adopted the Islamic Revivalist style shown here. The original "Chowmahalla" (the name means "four palaces") are part of a sprawling complex that was even larger prior to encroachment during its abandoned years. Rahul Mehrotra’s team restored exquisite details that had been lost to water damage during the years that the Chowmahalla complex was abandoned. In a workshop area of the palace complex that is closed to the public, seamstresses sew and iron dozens of sets of curtains for the palaces. 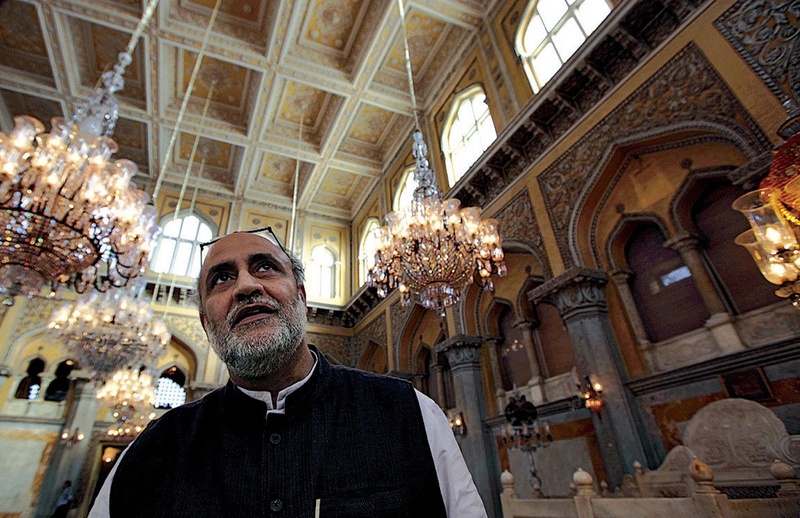 Rahul Mehrotra stands in the darbar, the ceremonial hall where coronations took place. It was important to Princess Esra that the restored palace tell the story of the Asaf Jah dynasty. 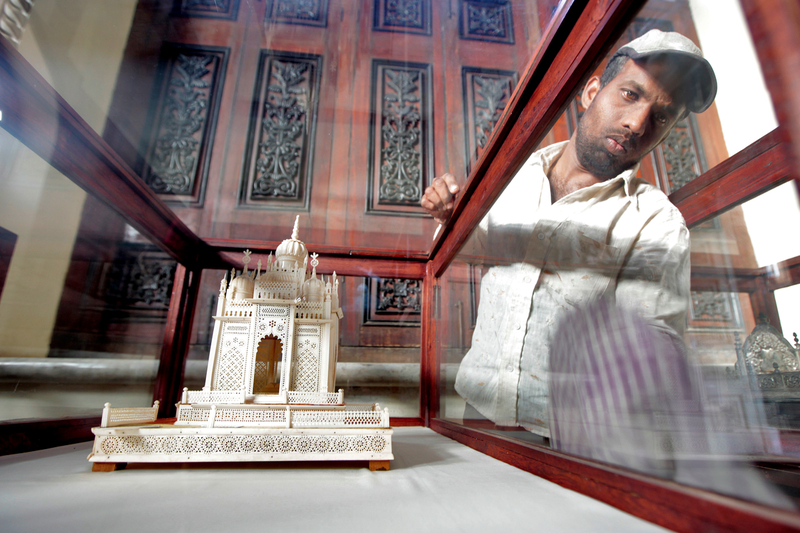 Here, a worker cleans a historical display. 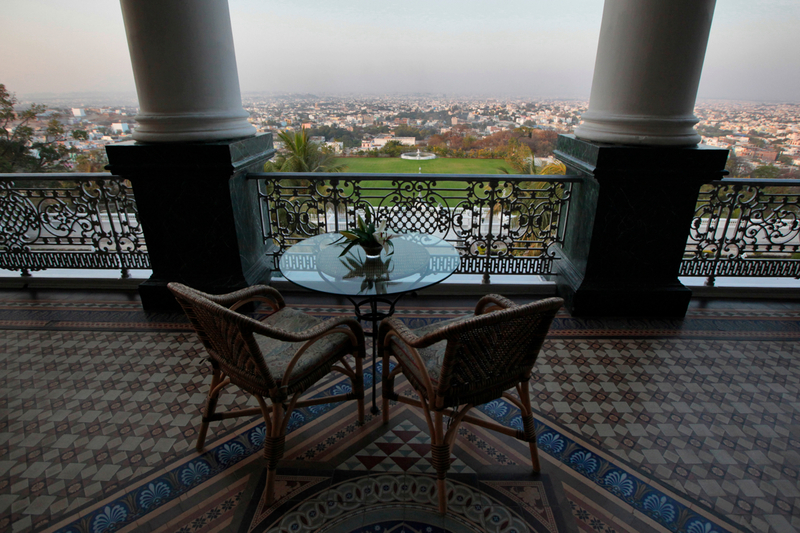 The Falaknuma Palace, another Asaf Jah palace in Hyderabad, looks out over the city. 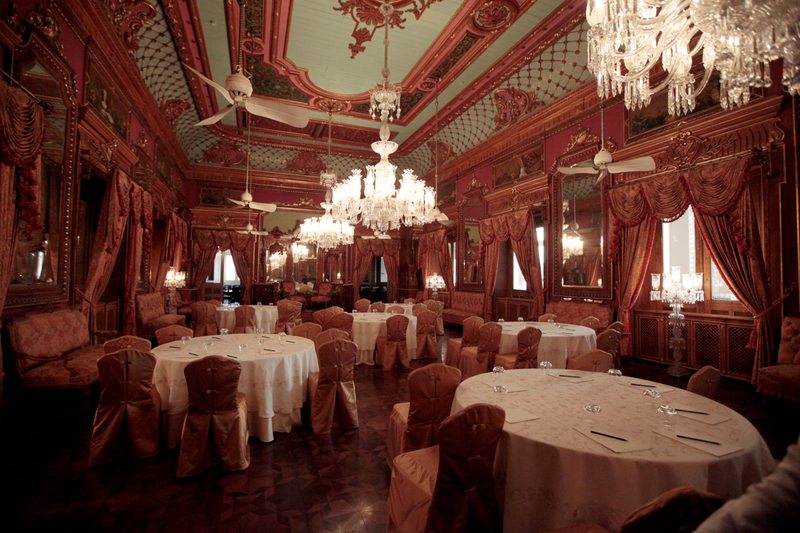 This palace was renovated into India's only seven-star hotel, and is operated by Taj Hotels; Mehrotra's firm consulted on the restoration effort. The building Mehrotra’s firm designed for KMC, a company that builds roads and bridges, stands out in an office park of faceless towers outside Hyderabad. 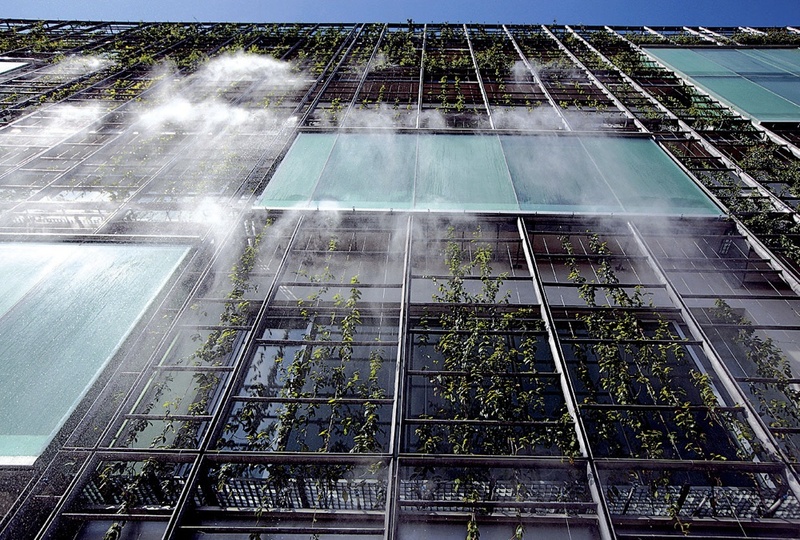 Plants on the latticed outer façade, hydrated by a misting system, provide shade and fresh breezes. 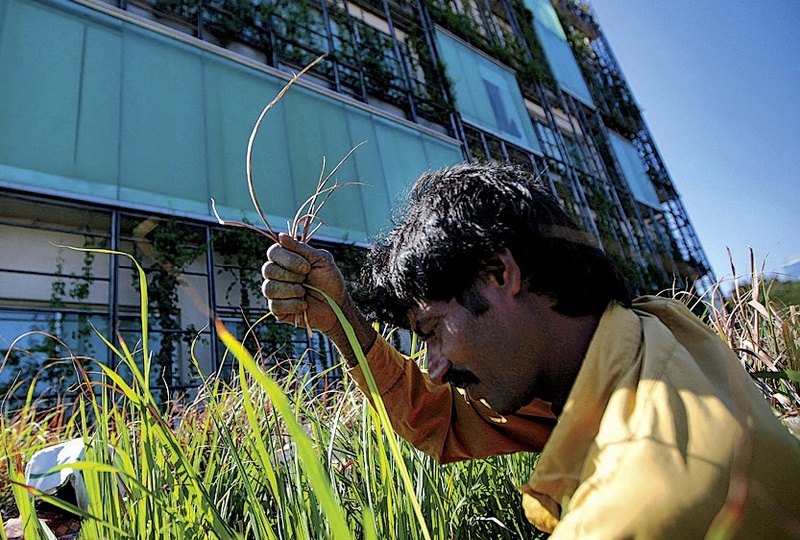 A worker trims lemongrass on the second-floor terrace. Mehrotra designed Hathigaon (“elephant village”) to house low-paid elephant keepers, their families, and their elephants. 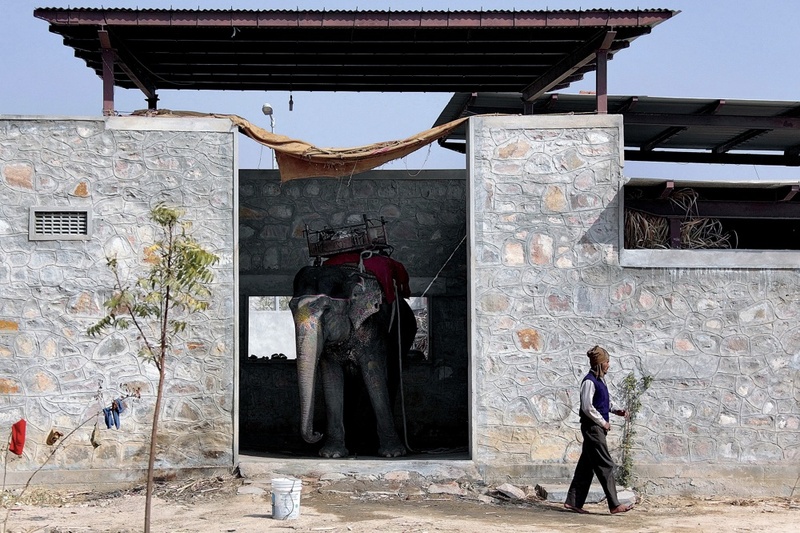 Each family’s dwelling includes an elephant “garage" with a door that opens outside, not into the inner courtyard, where children can safely play. Pits around Hathigaon, left by previous sand-quarrying, were transformed into ponds where the elephants themselves can relax and play. The dwellings are arranged in groups of four, oriented around a central courtyard. Mehrotra visits Hathigaon regularly to work out details as construction continues. Mehrotra examines a book of traditional remedies for elephant ailments. 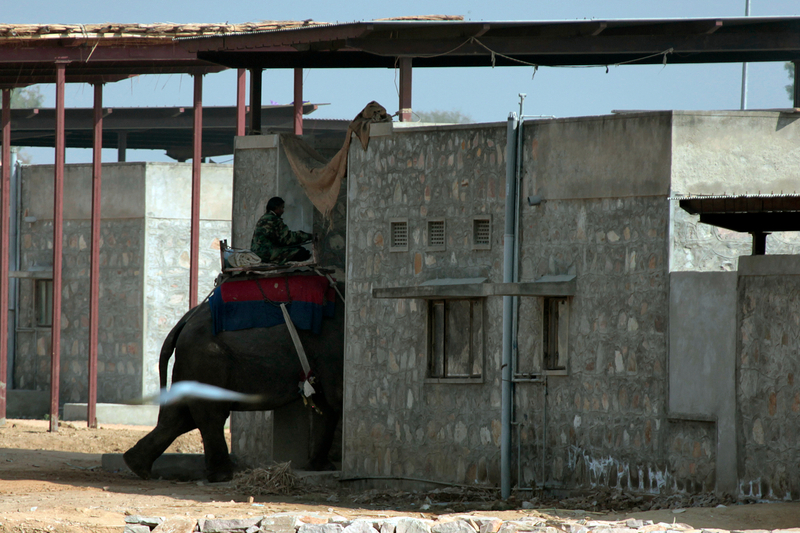 Before Mehrotra's firm won the contest to design the elephant village, the government built its own housing for the elephant keepers: a concrete-block building in an urban setting. The mahouts who still live here say they will move to Hathigaon as soon as more homes are complete there. In the government-built housing, the elephants live together in a central area, where children also play and other activities take place—a safety risk. 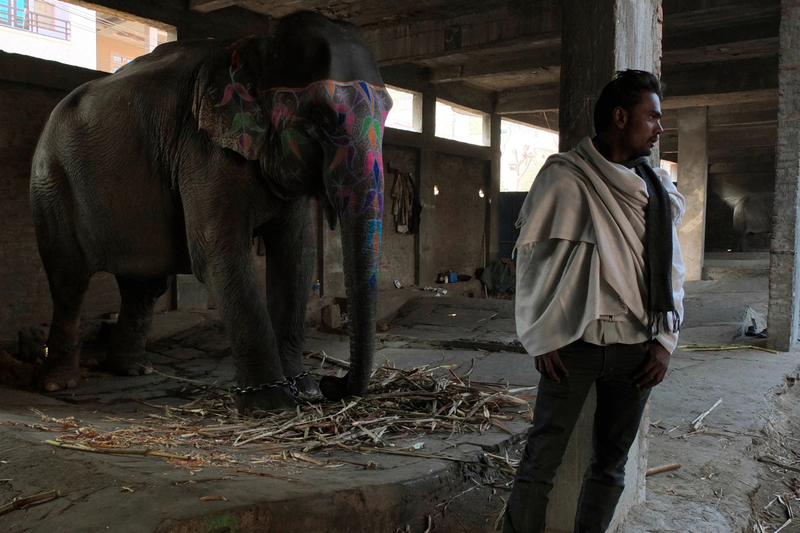 Back at Hathigaon, an elephant and its mahout enter their dwelling. Rahul Mehrotra pioneers a historic conservation track at the Harvard Graduate School of Design. Browse the gallery above to see additional images complementing those that appeared in print. The sidebars listed below also contain additional images. There are two Hyderabads. One, a historic city in the heart of India, established with a hilltop fort built by Hindu rulers in the fourteenth century, is rich with ancient palaces, tombs, and mosques built by the Muslim rulers who came later. The other is HITEC City, the northwestern suburb booming with industry linked to that acronym: Hyderabad Information Technology Engineering Consultancy. The two worlds rarely mix. Workers from HITEC City’s towering office buildings—emblazoned with their logos: Motorola, Novartis, Deloitte, Tata Consultancy—tend to live in equally monolithic apartment towers near their offices. They rarely come in contact with old Hyderabad, a densely populated district of winding medieval streets, inhabited mostly by poor Muslims. Rahul Mehrotra, M.Arch. ’87, has seen both Hyderabads. His Mumbai-based architecture firm designed a corporate campus in HITEC City and restored a palace in the historic center. In his work, Mehrotra—now professor of urban design and planning at the Graduate School of Design—endeavors to engage disparate worlds with each other, reminding the inhabitants of each to consider the existence of the other. “Softening thresholds” between different sectors of society is one of his guiding principles. Many of india’s historic sites are open to the public, but absent official tours and interpretive signs, their stories remain inaccessible. In restoring Hyderabad’s long-closed Chowmahalla Palace, Mehrotra sought not only to bring the public inside, but to create a setting where visitors could step into the story to gain understanding. The palace had long been disconnected from the city around it: first, commoners weren’t allowed inside; later, nobody was, as the royal family fled and the complex fell into disrepair. The palace belonged to the Asaf Jah dynasty, Muslim rulers of Hyderabad and the surrounding area from 1720 until Indian independence in 1947, and is still privately owned by the royal family. Of India’s many dynasties, this was one of the wealthiest: the region is rich in diamonds and pearls, and in 1937 the nizam, or ruler of Hyderabad, was officially ranked the richest man in the world. 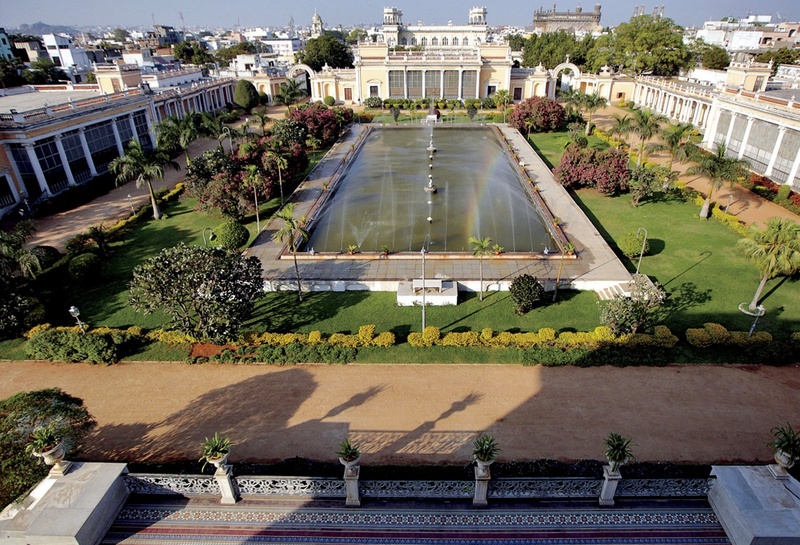 The Chowmahalla, one of six Asaf Jah palace complexes in Hyderabad, was used for ceremonial functions and receiving guests. 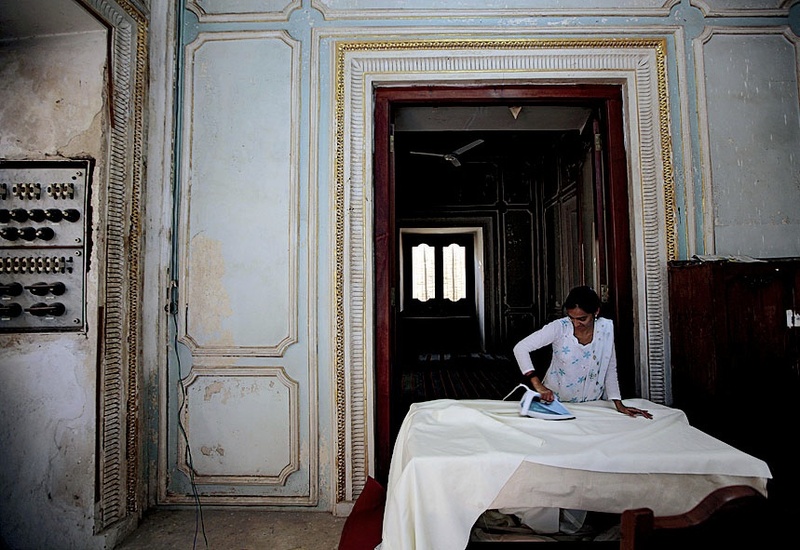 It was abandoned for three decades, amid a morass of legal issues, until Princess Esra, wife of the current nizam, decided in 2000 to restore the site and reopen it as a museum. She called on Mehrotra to lead the conservation effort. On his first visit to the sprawling complex, whose staff once numbered 6,000, he found buildings in a state of severe decay. Intricately molded plaster ceilings had caved in; floors of rare wood were rotting. Ultimately, dozens of specialists—woodworkers, upholsterers, and textile restorers; experts on identifying and preserving antique art, ceramics, and photographs; structural engineers, landscape architects, and historians of Urdu and Persian—were needed for the massive conservation project. Work began with basic structural repairs and protective measures—for instance, fixing the site’s drainage to prevent further water damage. Because no plans, drawings, or site map existed, it took two years just to document the grounds, buildings, and artifacts. The repairs needed were so extensive, the conservation team built a kiln for slaking lime on site. Eventually, the team restored the central palace containing the darbar—the gallery where coronations were held—and the original chowmahalla (the word means “four palaces”), used for day-to-day living. The new museum opened to the public in 2007; now, about a thousand people visit per day. 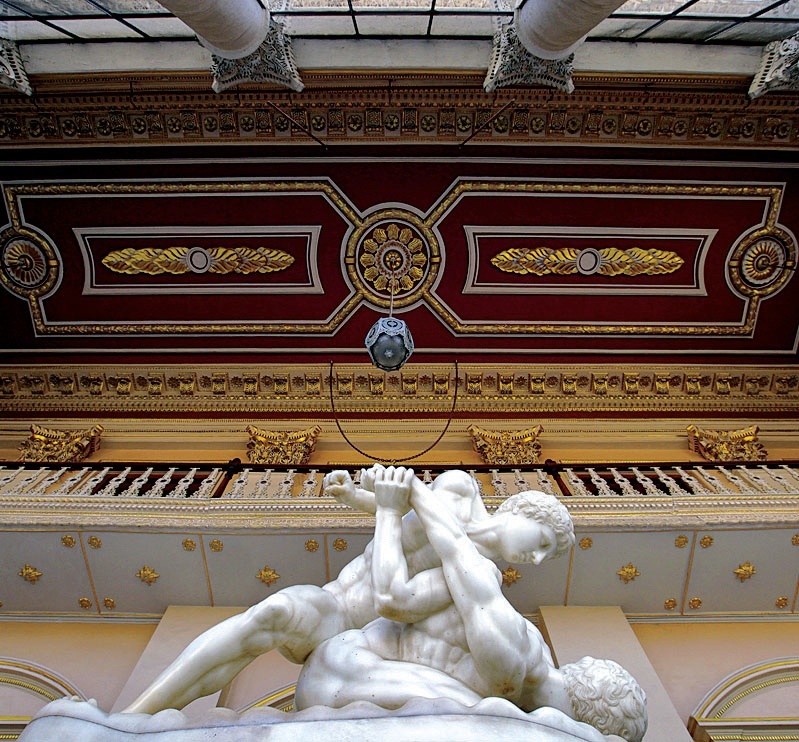 The restorers’ work won a UNESCO conservation prize in 2010. Today, visitors marvel at the grand marble darbar (where women once had to watch events from upper rooms, through silken shades hiding them from view) and admire objects such as tapestries woven with thread of real silver and gold (a style called Ganga-Jumni after two Indian rivers—a reference to the coexistence of Hindus and Muslims in the kingdom). 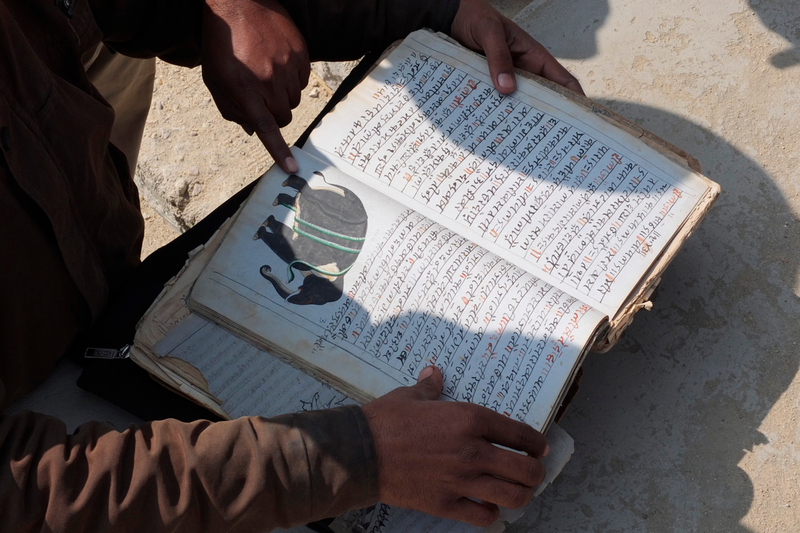 In the library, they can examine a collection of Qur’ans, some with gold-leaf pages. 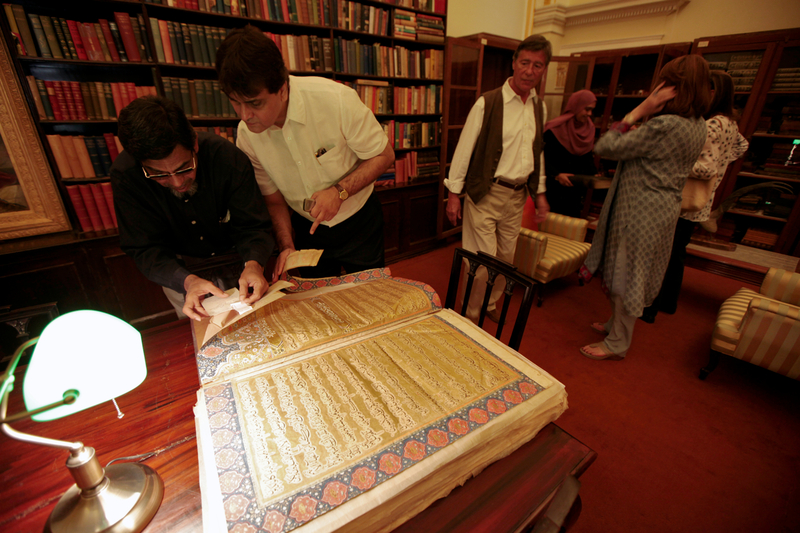 Visiting is a multisensory experience: in a room displaying a desk used by the current nizam’s great-grandfather (who reigned from 1869 to 1911), records from the latter’s collection play on an antique phonograph. Although workers in HITEC City—nicknamed “Cyberabad”—may not venture often outside their sector, the corporate campus Mehrotra’s firm designed there reminds them that there is a larger world outside. 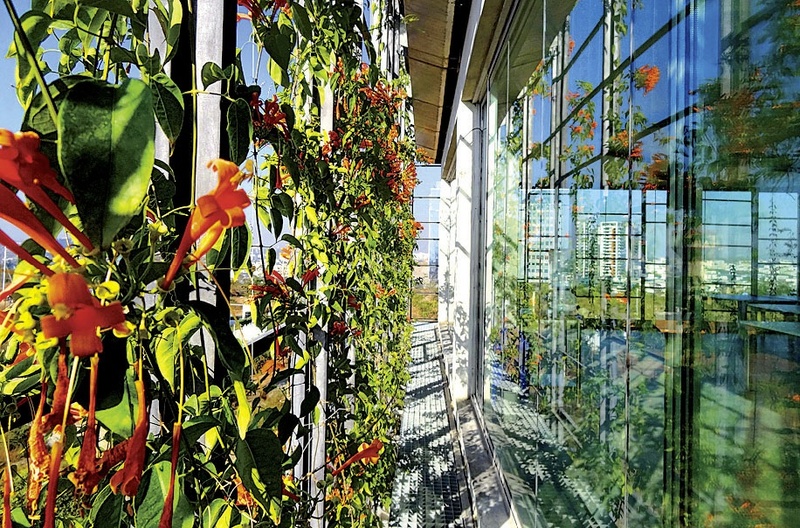 Through their windows, employees at KMC, a company that builds roads and bridges, see not other office towers, but flowering plants growing on trellises outside their own building. Instead of turning on the air conditioning, they can open the windows to admit a misty, jasmine-scented breeze. The second-floor terrace, where they may go to smoke or take a personal call, evokes a park: lemongrass grows three feet high; lotus blossoms float in a pool. Mehrotra’s buildings reflect the clients for whom they are designed. In KMC’s case, the lobby on each floor features a decorative wall of rusted steel (weathered to a certain color, then coated to stop the oxidation) of the type used in bridges. Small gray stones form rock gardens on the terrace; employees may recognize this aggregate material from roadbeds. 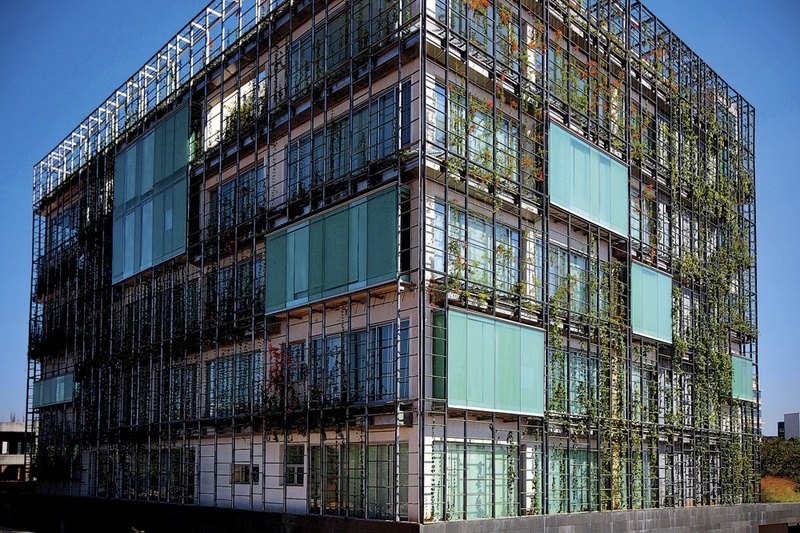 The anodized aluminum latticework that holds the plants resembles construction scaffolding. Such purposeful details and thoughtfully chosen materials are typical of Mehrotra’s creations. Companies that commission him know they will not end up with a plain glass box—a building “impossible to penetrate visually,” he explains. “The glass is reflective. People can’t see what’s inside.” He believes that style symbolizes India’s new economy, cut off from the country’s history and willfully ignoring the poverty that still exists. In the KMC building, on the other hand, company employees may come face to face with a low-wage worker gardening on the terrace or watering plants outside an office window. “Those are, for me, nice moments,” says the architect, because they remind both parties of their interconnectedness. The cafeteria offers views of lush green internal courtyards, lighted by openings in the roof above. Even the plants on the building’s outer façade are a reference to “the other India”: villagers use similar trellises of moistened thatch to cool their homes. A year after earning his master of architecture degree in 1987, Mehrotra went home—then a rare decision among Indians who had gone abroad for schooling. “I was just so charged up about what was happening in India that I didn’t even think about staying in the U.S.,” he says. He recalled seeing Rajiv Gandhi (India’s youngest prime minister, who succeeded his assassinated mother, Indira, in 1984, and was himself assassinated in 1991) speak at Memorial Hall in 1987. In the speech, famous among Indians, Gandhi echoed Martin Luther King Jr., declaring, “I, too, have a dream”—in this case, for a new India. He says he came to teaching “by accident,” after a chance encounter with the dean of the University of Michigan’s Taubman College of Architecture and Urban Planning, who was visiting India. Mehrotra was asked to show him around Mumbai; that led to a job offer in 2002. He taught at Michigan for four years, and at MIT for another four, before coming to Harvard in 2010. Out of this interest in historic conservation came legislation: Mehrotra was one of the authors of the 1995 historic preservation act that protects that part of Mumbai, the first such law in India. From 1996 until 2005, even after the move to Michigan, he directed Mumbai’s Urban Design Research Institute, advising the city and developers on thoughtful, context-sensitive design. He also wrote books on conservation in India and on the history of Mumbai landmarks, including the Victoria Terminus train station and the Fort District itself. As a result, he was invited in 2000 to advise the government on the conservation of the Taj Mahal. For this purpose, he created the Taj Mahal Conservation Collaborative, a seven-person body with expertise in structural engineering, landscape architecture, history, conservation, and architecture charged with formulating a conservation master plan for this World Heritage Site. With physical protection and upkeep of the monument already well under control, the group’s report, commissioned by the Indian government and funded by the charitable arm of the multinational Tata Group, focused on creating a richer visitor experience. It saddens Mehrotra that a visit to the Taj Mahal “is reduced to a one-liner” about a gigantic mausoleum built by a Mughal emperor in memory of his favorite wife. Charming as that story may be, the monument has “a hundred untold stories,” he says, adding, “Constructing the right narratives to engage people with their past is a critical strategy for conservation purposes and for boosting tourism. Accordingly, the master plan shares many of these little-known tales. For example, flanking the main structure are red sandstone buildings that few tourists enter; these are tombs for the emperor’s other wives and the favored wife’s favorite servant. Across the Yamuna River, one can see the crumbling remains of a terraced garden that was part of the complex. The gardens and reflecting pool sited in front of the monument were British additions—originally, an orchard covered the grounds, hiding the base of the mausoleum and making it appear to float above the trees. Paving stones bear engraved signatures of the original craftsmen (apparently a way of tracking their work to ensure they would be paid fairly); elsewhere in the complex, one can visit the medieval city where these craftsmen lived or the nursery where garden plants were cultivated. The report’s recommendation that these stories become part of the tourist experience has not yet been implemented, and a visitors’ center completed five years ago is still not open. This experience and others have taught Mehrotra that political factors are nearly as important as the design itself in determining a project’s ultimate outcome. Visitors can ascend the sinuous road to Amber Fort—a sixteenth-century hilltop palace outside Jaipur, in Rajasthan state in northwest India—by car, foot, or elephant. This last means affords the best vantage point for spectacular, panoramic views of lakes and gardens below. High in the air, shifting back and forth in time with the elephant’s slow, lurching steps, one has time to appreciate the scope of the stone wall that rings the royal complex’s perimeter, winding across mountainsides and recalling the Great Wall of China. 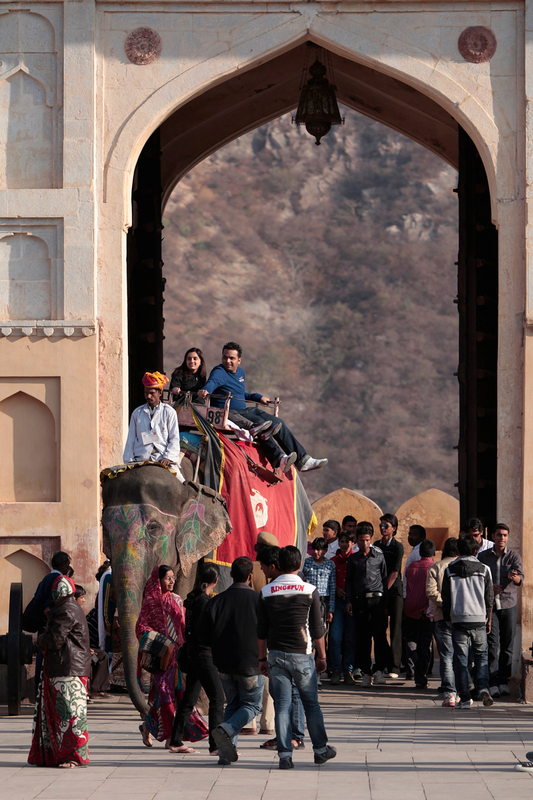 It is common to take a ride like this and barely notice the other person atop the elephant: the mahout who conducts beast and tourist up through the palace’s entrance arch. Thanks to skill and longstanding relationships, there is one—and only one—person each elephant will obey: its mahout. Yet the keepers are not well paid: they make 5,000 rupees ($100) per month. (Each ride costs close to $20, but the mahouts must give most of what they collect to the elephants’ owners.) Some tourists may be curious about the keepers’ lives, but a language barrier often prohibits conversation, and no visitors’ center or signage offers more information. When Mehrotra’s firm won a competition organized by the Rajasthan government to develop housing for the mahouts and their families, he saw another opportunity for softening thresholds. Hathigaon (its name means “elephant village” in Hindi) is intended as both a residential complex and a tourist destination in its own right. Once finished, it will have enough units to house all 200 of the city’s elephants and their keepers. The dwellings are small—200 square feet—and arranged in sets of four, wrapped around communal courtyards. Oriented this way, the homes feel more spacious: the courtyard becomes part of the living space. Many families cook and eat meals outside, and children can play away from the elephants (which are housed in garage-like rooms with exits on the outer, non-courtyard-facing, sides of the buildings). 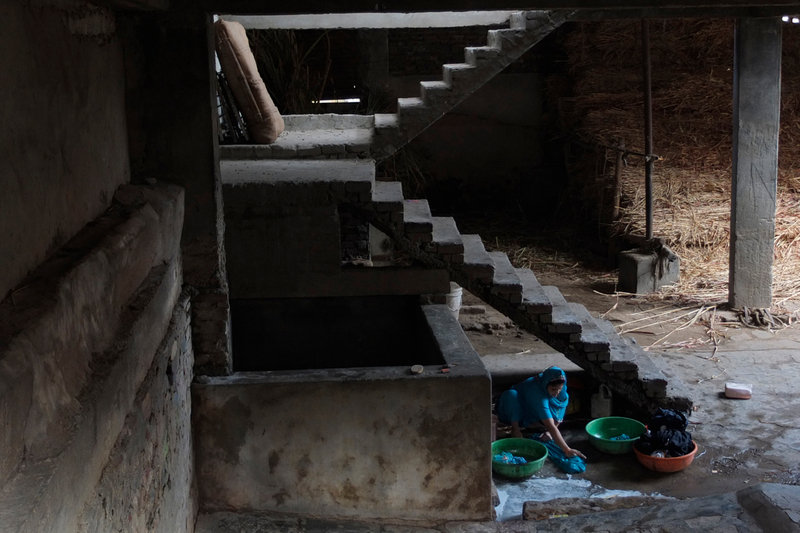 The houses have electricity and running water, still rare amenities for India’s poorer residents, and families can customize their dwellings as they wish, including enclosing the rooftop terrace to add living space. Walking through the development in January, Mehrotra commented on all the small changes residents had made. Each four-household group splits the cost of improving their inner courtyard; many had added trees, grass, and garden stones. Some units had glass windows and metal doors. Though most of the homes still had their original exterior finish of rough local stone, Mehrotra hopes for more customization—with plaster, whitewash, or brightly colored paint—as time passes: “We are hoping that in 10 years, you won’t be able to recognize them at all.” In his years as an architect, he has become less concerned with controlling all details; instead, he is fascinated by the way the residents’ contributions become part of the final product. If he is pleased when residents’ alterations adapt or obscure the original design, adaptations due to politics and graft are harder to accept. On site visits, he and his colleagues discovered features that weren’t part of the original plan: a road made from rocks instead of compressed dirt, a stone wall around a septic tank that had been designed flush with the ground so elephants could walk over it, cement cylinders for burying a water body that was supposed to be a creek flowing above ground. They eventually realized that these deviations from the plan were add-ons requiring additional contracted work—and presenting opportunities to collect a kickback. Political factors have stretched the Hathigaon project to four years, and counting, from the one year specified in the original contract. When the government that started the project lost an election, construction was put on hold. When that party came back into office, it resumed. Mehrotra estimates that in another three years, a visitors’ center might be open for business. Hathigaon also brought him face to face with the area’s cultural dynamics. On one site visit, he noticed that contractors were substituting cheaper materials and omitting some flourishes that had been part of the plans. When he asked why, he was told that including these features would be a waste of time and money because the homes’ future occupants were poor Muslims, and therefore didn’t need these details. On the January site visit, in lieu of an office, a desk in the middle of a dusty lawn served as the conference room. With his glasses perched on his forehead, Mehrotra spoke quickly in Hindi, with English words peppered in: ecology, sustainability. Halfway through the meeting, a white-bearded man arrived, wearing a white cap and a black-and-white shawl over his brown jacket. This was Haji Abdul Rashid, president of the mahouts’ association. He had brought a book of remedies for elephant ailments, passed down through the generations of his family; he proudly displayed it, turning the weathered pages to show Mehrotra. Associate editor Elizabeth Gudrais ’01 previously provided an overview of Harvard-India connections in “Into India.” Her work was supported by an anonymous donation for international reporting.